A sophisticated supernatural Hollywood comedy whose influence continues to be felt, Here Comes Mr. Jordan stars the eminently versatile Robert Montgomery as a working-class boxer and amateur aviator whose plane crashes in a freak accident. He finds himself in heaven but is told, by a wry angel named Mr. Jordan (Claude Rains), that his death was a clerical error, and that he can return to Earth by entering the body of a corrupt (and about-to-be-murdered) financier—whose soul could use a transplant. 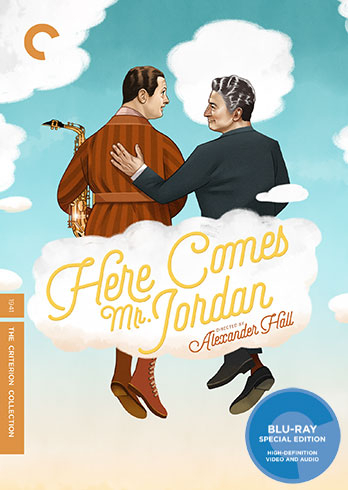 Nominated for seven Oscars (it won two) and the inspiration for a sequel with Rita Hayworth and two remakes, Alexander Hall’s effervescent Here Comes Mr. Jordan is comic perfection.